No matter the season, Chicago draws sports fans from around the world with must-sees like Wrigley Field and the Michael Jordan statue at United Center. It takes a lot to make a city an epic sports city. Massive crowds cheering in unison from Wrigley Field on hot summer nights. The comraderie throughout neighborhood sports bars and tailgating lots before a Bears kick-off. Never-ending sing-alongs of the celebratory anthem after a Blackhawks goal. A city&apos;s willingness to live and die by their team. So it is no secret that Chicago is a vibrant and passionate sports town with unrivaled tradition. Some of the most legendary and internationally recognized sports teams in the world thrive in Chicago, so no visit to Chicago would be complete without attending a professional game. But if spectating isn&apos;t the only thing you&apos;re into, Chicago has a plethora of physical activities to choose from that will keep you moving and sweating 365 days a year. With two of the most historic franchises in Major League Baseball, no visit to Chicago in the spring and summer months would be complete without tickets to the "ole ball game". Nestled within the Lakeview neighborhood on Chicago&apos;s North Side sits the second oldest ballpark in America — Wrigley Field, home of the Chicago Cubs. In 2014, Chicago celebrated Wrigley Field&apos;s 100th Birthday, and 2016 marked 100 years of the Cubs organization playing at Wrigley. New renovations to the ballpark have been underway as well, taking the fan experience to the next level. 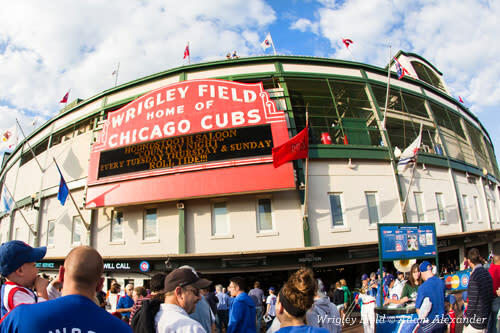 Before heading to this beloved mecca for a game — or a stadium tour — get your pre-game drink on at the sports bars that line Clark, Addison and Sheffield avenues in Wrigleyville. Grab a beer and a burger at Rockit Burger Bar or Murphy&apos;s Bleachers. Outside visit the statues of baseball legends Harry Caray, Ernie Banks and Billy Williams, and of course, get the prerequisite pic with the bright red marquee. 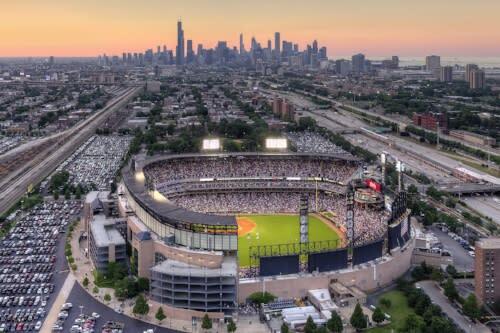 On Chicago&apos;s South Side sits another one of the most storied franchises in Major League Baseball and winner of the 2005 World Series — the Chicago White Sox. The home of the Sox, Guaranteed Rate Field, sits just south of the downtown Loop in the Bridgeport neighborhood, where local standbys offer great eats and cheap drinks. Prior to the game, pay a visit to Ricobene&apos;s and get ready to bite into what has been deemed "The Best Sandwich in the World" by USA Today — the breaded steak sandwich. Or grab a drink at hip gathering places like Reggies Chicago (a combination bar/music venue with a convenient Sox shuttle) or Maria&apos;s Packaged Goods and Community Bar to meet the locals before heading over. Chicago has always been known as an international city, but what would an international city be without a pro soccer team? 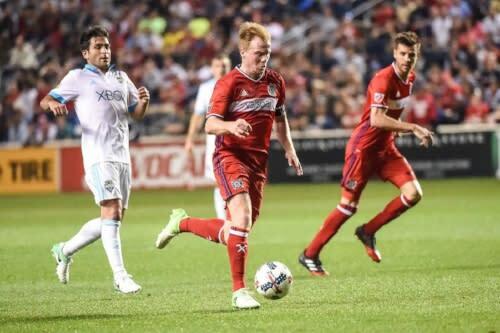 The Chicago Fire are one of the most popular Major League Soccer franchises in the United States and the team calls Toyota Park in Bridgeview, Illinois home. Located about 12 miles southwest from downtown, get there via the team&apos;s Pub to Pitch roundtrip game-day shuttle service. Soccer fans can avoid the hassle of driving and easily hop on a bus to a Chicago Fire match after enjoying a pre-game pint — game ticket included! If you&apos;re looking to get off the bench and get into the game downtown, go rock climbing at Maggie Daley Park or roll out your mat and stretch-out at a free yoga during Summer Workouts at Millennium Park. For even more fun in the sun, take advantage of the city&apos;s 18 miles of lakefront trail, perfect for biking, jogging or rollerblading with the expansive Chicago skyline as your backdrop. Along the lakefront trail you will find numerous beaches that dot the coastline. Rent a volleyball net and grab some friends for a game of beach volleyball at North Avenue Beach or rent jet skis, kayaks or flyboards for an adventure on Lake Michigan with Chicago Watersport Rentals. Unless you&apos;ve been sleeping under a rock, you&apos;ve probably heard about the Chicago Blackhawks... you know, the 6-time NHL Stanley Cup Champions? How about the 6-time NBA World Champions Chicago Bulls? Now that we&apos;ve got the bragging about our sports dynasties out of the way, let&apos;s talk logistics for watching our winning NHL and NBA teams. The Blackhawks and Bulls call the United Center home and its convenient Near West Side location near downtown has a number of spots to watch the action. Whether you have tickets to the game or not, head to "the UC" early to get pictures in front of the iconic statues of Blackhawks legends Bobby Hull and Stan Mitka, and #23 himself — Michael Jordan. Find fellow fans in the area at The Ogden, Kaiser Tiger, The Crossroads Bar & Grill or the legendary Billy Goat Tavern. After the game, make a pit stop at the new Goose Island Taproom for an exclusive craft beer selection that you won&apos;t find anywhere else in the city, or go for a nightcap along Restaurant Row, the hip stretch of Randolph Street filled with bars, lounges and award-winning eateries. In the words of the great Chicago Bears head coach Mike Ditka: "If God had wanted man to play soccer, he wouldn&apos;t have given us arms". 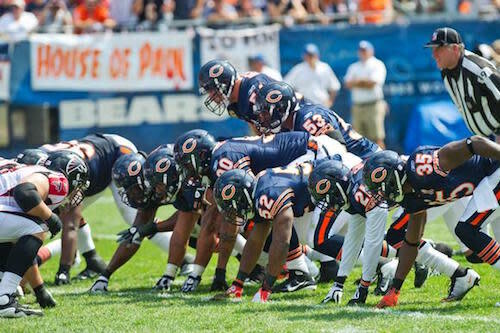 When the summer season begins to wane and the leaves turn red and gold, there is one thing on the minds of every Chicagoan — football, American football that is, and one of the NFL&apos;s most iconic franchises begins to fill the seats at Soldier Field faster than almost any other team in the league. If you&apos;re lucky enough to snag a ticket, you won&apos;t be disappointed. Before the game begins, tailgating in the Soldier Field parking lot is a weekend ritual that wouldn&apos;t complete the experience. You will see people cooking hot dogs, cracking open beer and raising their cans to the "Monsters of the Midway" aka da Bears! If you&apos;re in town on a weekday, you can take a behind the scenes tour of Soldier Field and learn about the historic and modern-day "stadium in a park" that also serves as a landmark dedicated to the men and women who served in America&apos;s military. For visitors coming to Chicago during the winter months, there are plenty of indoor activities to get your sports fix. The Chicago Sports Museum is filled with iconic memorabilia from some of the most defining moments in Chicago&apos;s sports history including the famed Bartman Ball and Sammy Sosa&apos;s corked bat. If you are looking for a workout, pay a visit to Brooklyn Boulders — a 25,000 square foot facility with giant climbing walls, yoga classes, a weight room and cardio equipment. Or if gaming is on your mind, For The Win Chicago is an adult arcade filled with over 130 interactive games that covers everything from basketball and football challenges to a six-hole mini golf course! 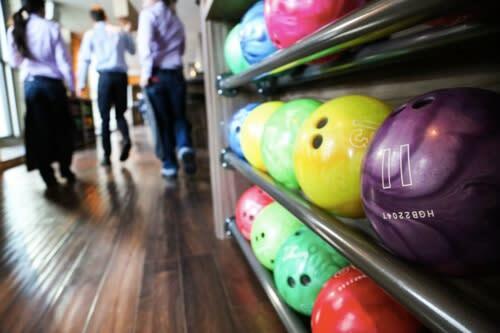 More interactive fun awaits at SPiN (an underground ping pong social club and lounge) and Pinstripes (both bocce ball and bowling are on the menu here). 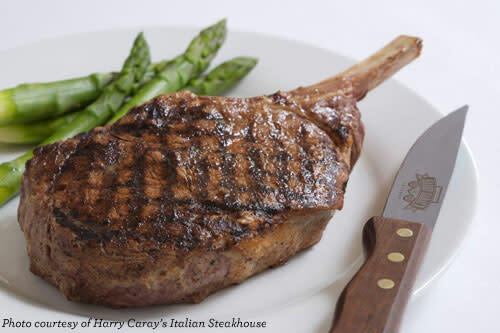 When you&apos;re ready to eat, make a reservation at these sports-fan favorites: Michael Jordan&apos;s Steak House , Harry Caray&apos;s Italian Steakhouse (the statue of the famed broadcaster is a celeb hotspot) or Ditka&apos;s Restaurant for a classic Chicago steak.